The French capital has 2 249 975 inhabitants within Paris itself and over 12 million when including the surrounding urban areas. Paris, located in the north of France, is crossed by the Seine between the confluences of Marne and Oise. It is divided into 20 districts giving a total surface area of 105 km². The city is, with its suburbs, the economic and commercial capital of France, as well as its leading stock-exchange and financial centre. The Parisian region is a major European economic player; the leading European region by regional gross domestic product and 6th by the gross domestic product per inhabitant. The density of its rail and motorway network and its airport structure, hub of the French and European airline network, make it a focal point for international transport. The City of Paris’ energy performance contract is an energy performance contract as defined by directive 2006/32/CE on energy end-use efficiency and energy services. This contract comprises all of the services allowing optimisation of actions relating to the climate plan (energy performance), services closely connected to operation. Finally, technical inspection and new work contracts complete energy performance contracts. 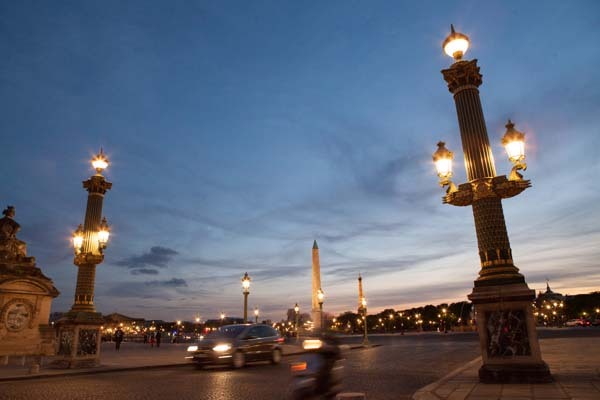 For nearly sixty years, the City of Paris has been conducting a proactive policy in terms of illumination and highlighting sites and monuments. 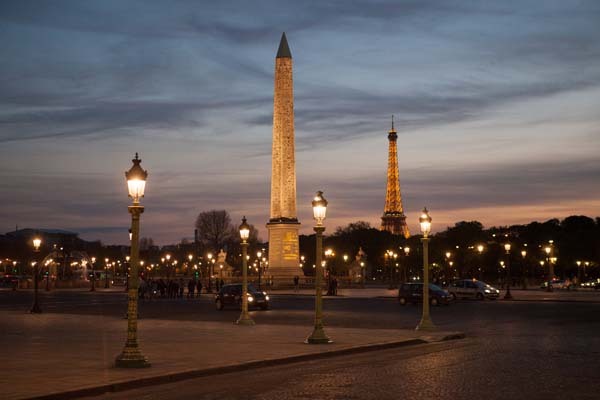 To date, 313 Parisian sites are illuminated. Their management is carried out by the City and its operator. These sites include several municipal buildings (town hall and some district town halls), the bridges of the Seine, emblematic public monuments belonging to the State (Arc de Triomphe, Panthéon, the July Column, etc. 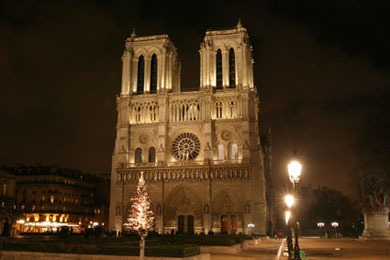 ), cultural monuments (Notre Dame, churches, etc.) and many other noteworthy sites and constructions. These installations date mostly from the year 2000 and are, as such, energy consuming and technologically out-dated. Their renovation has begun and the City is gradually replacing existing devices with more efficient lights such as LEDs (the Arcole bridge in 2012). 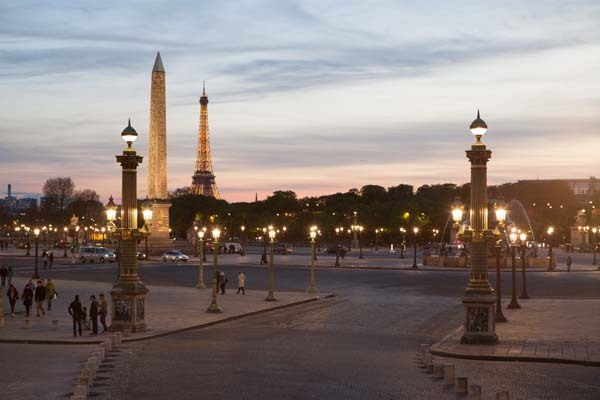 Also, our contractor is implementing a general scheme to enhance spaces and monuments, the “light map”, which balances Parisian illumination in favour of attractive and innovative lighting schemes focusing on local facilities and places located mainly in outlying districts. 22 site creations are planned among the sites targeted at the end of a lighting assessment. New lighting schemes are also regularly established under state control and commissioned at the request of district town halls. Recently, illumination of the St Michel fountain, the St Marcel church, the cirque d’hiver and the war memorial of the 15th district was implemented. Several projects are underway including the Vulpian and Danton statues in the 6th district, whilst highlighting of the Broca tunnel has just been completed. Finally, all of these enhancements observe the aesthetic and technical requirements of the “Lighting Charter” applicable to the whole of Paris and more specifically the lighting development plans that the city created for itself in 2000 (lighting development plans, Seine site) and 2007 (lighting development plans of the districts of the Parisian suburbs). These framework documents, intended for all developers intending to create lighting effects in the city, favour night-time activities and reclaim districts, all in line with objectives relating to sustainable development and controlling energy consumption. 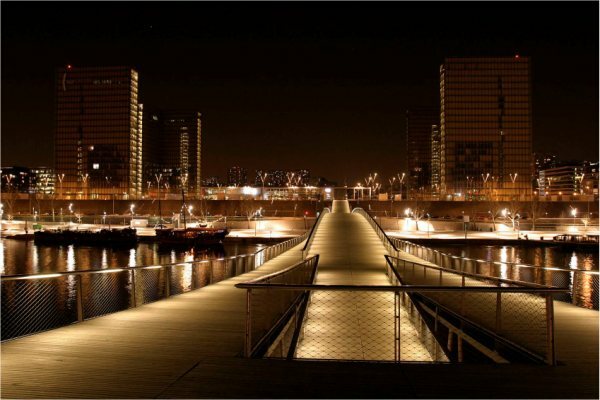 It consists of replacing the current supports and luminaires (SOLAIR 250W/400W and ROISSY BF 80W in pedestrian areas) by CITEA MIDI 100W/150W (SHP) and CRISTALCITY LED in pedestrian areas. Estimated saving of 34.90 MWh. A Climate Plan operation in 2015 on the adjacent streets will complete the modernisation scheme. In concrete terms, power distribution of the boulevard will be revised with the replacement of 2 420m of cables and the resumption of direct connections (removal of 24 ballasts). Finally, this operation is going to allow presence detection on pavements to be tried out on a section with a cycle path on the Monceau park side. Setting up remote management will allow us to find out what the dimming frequency is and also allow us to easily make changes to settings and configurations according to feedback on experience. A protocol shall then be able to be drawn up in case this energy consumption reduction technology is validated by the City. Respect for the surrounding architecture has been maintained by placing the lights in the canopies of the lyre lanterns (lampposts) on rue Dunkerque and not on the facades of the buildings. The facade benefits from frontal lighting. The ends of the building are lit by projectors fixed to the lighting poles located at the corner of rue de Compiègne on the one hand and rue Saint-Quentin on the other hand. The 26 lamps and 4 projectors that provide this illumination are supplied from the public lighting network by means of clocks allowing it to be lit until one o’clock in the morning every day during the summer, from 16 June to 15 September, and the rest of the year until midnight in the week, and 1 o’clock on Saturdays and the evening before bank holidays. This lighting scheme was coordinated with a “Climate Plan” operation aimed at reducing energy consumption. It concerned the lyre lanterns of the square in front of the station and consisted of replacing the existing 100W metal halide lights with less energy-consuming 50W and 70W lamps. A power reduction of 3 068 W has been achieved compared to the original installation whilst improving luminous performance and observing the photometric levels to be maintained over time and in this way “lighting only when and where required”. For the entire project, the illumination and public lighting installation consumption report is very favourable with a saving of 2,684 KWh per year (-15%). 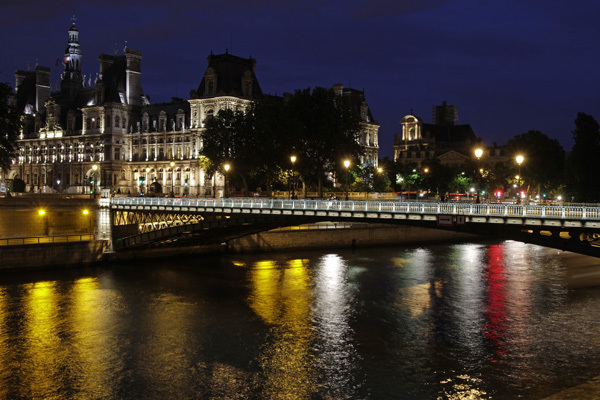 LED technology already represents added value for many Parisian “Climate Plan” operations. In this way, these products now equip 100% of pedestrian luminaires installed for renovation or new projects. LED luminaires have also already allowed the precise level of illumination required to be obtained without oversizing the installation, reversible installations (Jean Bouin stadium, Berges de Seine, left bank) to be set up, and dynamic criteria, such as speed or level of illumination during the day, to be taken into account. As the technology also allows us to take full advantage of the possibilities offered by remote management for lights on the sites which will be equipped with it, it naturally accompanies testing of new solutions: presence detection, dimming, etc. Sodium remains, however, relevant on large pavements since the large amounts of power required represent a greater heat management requirement for LED luminaires, and consequently higher costs, which reduces energy efficiency. The development of uses in Paris with the roll-out of 30 mph zones ideally accompanies technological development: LEDs allow monitoring of development of uses by making possible the transition from a street treated in a 50 mph zone to a requirement of a 30 mph zone with simple dimming. The strategy of Paris is to adapt to technological progress by treating in yellow major roads and other roads (boulevards, quays, ring road), and in warm white the 30 mph and 50 mph zone service roads. This allows the Parisian nightscape to retain its identity. It is from this perspective that the programme for the year 2015 is going to incorporate the roll-out of the use of LEDs on standard roads (10,000 LED luminaires installed between 2015 and 2017).